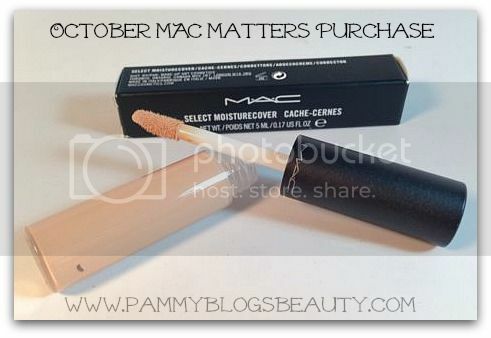 Pammy Blogs Beauty: MAC Matters: Building a Core MAC Collection with (less than) $21 a Month! MAC Matters: Building a Core MAC Collection with (less than) $21 a Month! It is time for a long-awaited MAC Matters update! For those of you who are new to this series, here is the scoop: What is "MAC Matters"? This series was born when I realized that I could build up a great MAC Core Collection with (less than) the cost of my most expensive monthly beauty sample subscription. So, I cancelled said subscription and put my theory to the test! For me, this MAC Matters Challenge is just a fun experiment to help me curb some of my beauty spending. I find that I am spending very wisely when MAC shopping for this challenge. Plus, the items that I have purchased are things that I truly love! No matter what your stance is on beauty boxes, a well researched purchase of a needed makeup item is always a good idea. If beauty box samples are just cluttering up your makeup drawers, then you might consider this challenge! :) I think you will be thrilled with what you can do with an average of $21 a month at MAC (or any of your favorite brands)! Does this challenge sound fun? It is!!! Join if you like! I just ask that you link back to me in your post as the creator of this challenge. :) But, you don't have to be a blogger...you can just join by sharing your MAC shopping in the comments here. I apologize that it has been a couple months since I have done a MAC Matters update! With moving, getting settled, etc...I just got off track with this challenge. I blame living further away from a MAC Counter! :) Well ladies, I am back on track and have a renewed motivation for this year-long challenge. The best part of this month's challenge? Makeup shopping with a fellow blogger!!! Quinn from Mama Fashionista (who is participating in this challenge with me) and I met up to do our MAC Matters shopping together! It was so fun!!! I am impressed with how well Quinn has planned out her MAC Matters spending. She has planned completely in advance and knows exactly what she wants to buy each time. I have a list, too. However, I try to get what "hits me" at the counter from my list of possibilities. I certainly want to meet up with her again for more makeup shopping!!! Be sure to check out her link to read her MAC Matters update. I wish that I had taken the time to get a picture taken with her that day to post here!!! Purchase at least one item a month: If the item is under $20, save the remainder for the next month. While there are many items priced under $20, there are plenty that are over the $20 range that can be "saved" for. Do a monthly blog posts for one year to share what you get. Lets see what kind of core collections we can build in a years time! To coordinate with my "Build a Core MAC Collection" purchases, I will also be posting "MAC Matters: From the Stash" reviews! These "stash" items are MAC items that I love that are already in my makeup collection. Some months, I will be "saving" my $21 to go towards a bigger MAC purchase. This is when you will most likely see the "stash" posts. Or, I might include a "stash" item mini review within my "Build a Core MAC Collection" posts because if you are reading this because you want to build your own MAC collection, you might enjoy reading about what I am already using and loving! If this series is popular, I will repeat the series with another brand upon completion of 12 months with MAC. If you decide to join this challenge: Please be sure to include a link back to my blog in your post crediting me as the creator of this challenge! :) Also, feel free to send me your links to your MAC Matters posts that I can include in my monthly postings. I will fully admit that I did not necessarily set out to purchase a concealer! 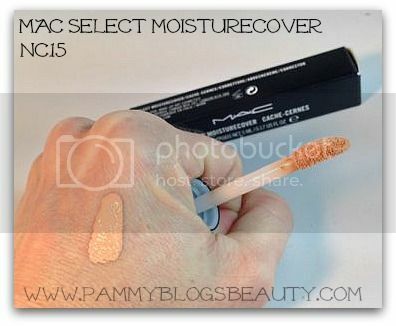 However, since I knew I was about to run out of my current concealer, I wanted to scope out what MAC had to offer. After trying on a couple different formulations and shades, I decided upon the Select Moisture Cover in NC 15. As ya'll know, my skin is super fair and finding a shade in my correct skin tone color can be difficult. My skin's undertones are pretty neutral and leaning towards cool. However, the NC (warm) concealer seemed like the best match. Sometimes I think NC foundations, concealers, and powders work best on my to cancel out redness and even me out. Nordstrom was out of my shade for purchase that day. So, the sales associate ordered it for me and shipped it to my house. While that seemed convenient at the time, the product took forever to arrive! I should have just picked up the item at another MAC counter at the Mall. Sorry, I digress...back to the product! I really like this concealer!!! I love that it can be used all over the face: for both under eyes as well as chin, nose, etc. I am so used to using a different concealer for my eyes. So, it is nice to have an all purpose concealer that is both moisturizing and has great coverage while also not being to greasy for the rest of the face. Now this is the fun part, ya'll!!! Lets take a look at what I have collected since starting this challenge!!! :) I totally love and adore everything that I have gotten so far!!! So, what do ya'll think? What should I purchase next month? What is my MAC Collection "lacking" at this point? Thanks again for following me along on this challenge! 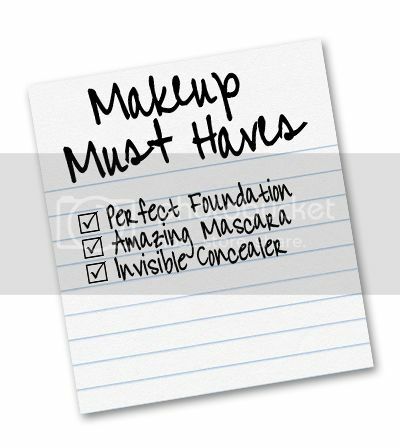 It really is fun (especially when shopping with a fellow makeup-lover like Quinn! ).